Tech titan, engineer, and entrepreneur Michele Romanow started three companies before her 28th birthday. A “Dragon” on CBC’s hit show Dragons’ Den, she is the co-founder of Buytopia.ca, Snap By Groupon, and—most recently—Clearbanc, an online financial service. Ranked in WXN’s “100 Most Powerful in Canada” and listed as the only Canadian on Forbes magazine’s “Millennial on a Mission” list, Michele brings her youthful energy and incredible entrepreneurial savvy to every stage. In a recent article in Forbes, she outlines how she deals with the daily fears around failure. Some of it is about accepting your limits and other parts about active measure that will help ensure your own future success. In turbulent times, it can be easy to get caught up in concerns over how economic trends or political events might affect you and your side hustle. While I’m certainly not advocating that you ignore what’s going on in your industry, a big step in overcoming fear is to simply direct your focus to the things you can control. For Romanow, this meant holding herself accountable for her own efforts. She adopted an attitude of, “I can execute at 120%, and if I just keep doing that day after day after day, something will work or I’ll get lucky.” By focusing on her own output, she could push aside fears and produce at the level she needed to break through. Romanow found that surrounding herself with the right people made a huge difference in overcoming fears: “It helps when you have friends and cofounders and other people you want to work with.” This didn’t just make it easier to get excited about her work—it also gave her access to a support group that understood her situation and pushed her toward success. 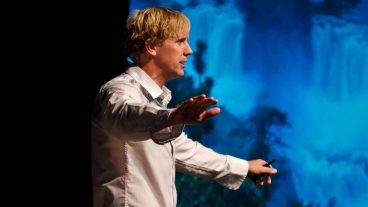 Jumping into the entrepreneurial world can be scary, and as Romanow explained, focusing on your potential gains is a must: “I remember being so nervous…it’s never easy when you leave [an old job]…but taking risks young and learning to build a business young was really in many ways the only thing that gave me the advantage to be where I am today.” Knowing what potential opportunities awaited made it possible to overcome her fears. A key principle in overcoming your fear of failure is to learn to own your fear, rather than letting your fear own you. As Romanow explains, “The fear is real and that happens all the time as an entrepreneur.” This is okay, as long as you make a conscious effort to address your fears. To read the full Forbes story, click here.